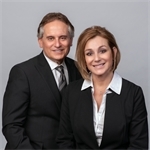 Looking for the best real estate team to partner with when buying or selling a home? We are dedicated to providing all our clients with the highest level of service. With over 3,000 homes sold and 33 years of real estate negotiation, we offer the expertise, experience, and knowledge while providing a wide array of services to meet all of our clients' real estate needs. The Rullo Team has continually placed in the top 1% of Realtors in the Fox Valley. Choose to work with the best team for all your home buying and selling needs.